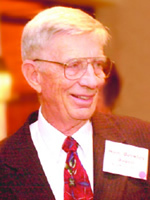 The National Foundation for Alternative Medicine, NFAM, represents the fruition of a movement led by former Iowa Congressman Berkley Bedell and other interested Americans who are concerned about the average citizen’s inability to get reliable information and access to effective, holistic, medical care in the face of life-threatening disease. The NFAM works to publicize information about medical treatments that are life saving, the protocols of which are as effective or better than conventional medical procedures. The mission of the NFAM is to seek out effective alternative medical treatments, to evaluate the protocols and outcomes of these treatments and to report the findings to the general public. This foundation is the only entity in the United States that actively reviews clinics that focus on alternative treatments of disease for the purpose of making the findings readily available to the American public. All information is provided to the public free of charge. The first focus of the NFAM has been on cancer, but we intend to begin initial site visits to clinics that treat other illnesses in 2002. More and more people are being diagnosed with life-threatening illnesses such as cancer and heart disease. The increasing spread of cancer alone is staggering. In 1971, 1 in 4 Americans were projected to eventually be diagnosed with cancer. Facing this growing national epidemic, President Nixon declared a war on cancer, pledging a cure by the bicentennial year, 1976. That war has clearly not been won. Since 1971, we have spent well in excess of $1 trillion and still cancer hangs as a Damoclean sword over every man, woman and child in America. In 2001, researchers predicted that cancer would strike 1 in 2 American males and 1 in 3 American females in their lifetimes. Lamentably, many doctors are unable to tangibly help many of their patients. The American Cancer Society projected that in 2001 more than 1,250,000 American citizens would be newly diagnosed with cancer and more than 550,000 others would die from cancer. That figure amounts to 1,500 of our fellow citizens a day; accounting for 1 in every 4 deaths in America. Exacerbating this harrowing condition is that many cancer patients are being told that there is nothing more that can be done for them and instructed simply to prepare for their deaths. We believe that there is significant new hope for those afflicted. We identify clinics that are offering improved chances of survival for people with degenerative diseases including cancer. These clinics are utilizing what has come to be called alternative or complementary treatments. Such practices seek to avoid invasive and highly toxic medical procedures that are used in conventional treatments. Additionally, these protocols take steps to consider the health problem more holistically, in terms of a person’s entire mind, body and spirit. To our mind, the tumor called cancer is a symptom. We ask: what has caused the more systemic disease? Our initial visits have been extremely encouraging in addressing this question. Physicians who are a part of the national health services for their respective countries administer many clinics reviewed by the NFAM. Though initial evidence suggests that these treatments produce better results than do standard chemotherapy treatments, these alternatives are not being made available to people in the United States and information about them has been difficult for most citizens to access and review. In most situations these treatments cost considerably less than conventional treatments. If such treatments were offered as the first response to cancer diagnoses, instead of radio and chemotherapy, the costs to patients would be substantially reduced. Additionally, considering the significant amount of harm inflicted upon patients by some conventional treatments, it seems that information about effective alternatives ought to be provided to every person who is facing the diagnosis of a terminal illness. It is for these reasons that our work of finding and validating such effective alternative treatments is essential to the future health and well being of all people. It is our goal to substantially alter and expand the way that health services are provided in this country. At the National Foundation for Alternative Medicine, we seek to offer options to people who have few or none. After visiting clinics renowned for their work in cancer, we have now directed the thrust of our investigation to focus on four to five clinics we think well worth additional retrospective study. It is our hope that such publicity will encourage people to look for help in several places, including researching these alternative treatments and investigating for themselves what treatments might provide the best personal regimen. We think that it is of vital national interest to disseminate knowledge about alternative medical options, particularly those that are non-toxic and non-invasive. Our work encompasses a research component, comprising three stages, and an educational component. The first stage of our investigative work consists of initial site visits to clinics in the United States, Europe, the Caribbean, Asia and elsewhere, where we have knowledge of successful treatments based on non-conventional remedies. To date, we have reviewed 57 clinics in 17 countries. We identify clinics from journals and computer searches of medical sources that give substantial indications of the viability of their treatments. We utilize medical consultants in the field who have additional data on the protocols used by the identified clinics. A team, including a physician, an NFAM representative and an interpreter when necessary, make initial site visits to the facilities. Initial chart reviews are made, the physician makes rounds with the medical staff and current and former patients are interviewed. We use information gathered on those visits to determine which clinics seem to be producing the best results, thus completing stage one of our work. In the second stage, we are employing Best Case Series, following the guidelines set forth by the National Cancer Institute, under the direction of the National Institutes of Health. The NFAM seeks out clinics that evidence results that are better than standard treatments. Developing these series involves securing medical releases, and obtaining and translating medical charts. Our Foundation synthesizes and evaluates the protocols used by the clinics in each of the cases to better understand what has prompted the full regression of the tumors. Then these charts and our reports are submitted to oncologists and other medical researchers who specialize in the given type of cancer who evaluate and score each case. Such Best Case Series will offer evidence to both the medical community and the general public about the effectiveness of these innovative treatments. In the third stage of our work, we identify two exceptional clinics that we feel are worthy of retrospective study. Such a retrospective review would establish the statistical viability of the protocols used, and would be of a quality worthy of publication in medical peer review journals, increasing the awareness of alternative health protocols that could become available in this country. We are excited about the initial findings and the resulting lives that we believe will be saved when this information is fully explained to the American public. Our work additionally includes Phase II, prospective, trials of promising clinics. The prospective trial primarily involves the control of quality and information throughout the research process. In our prospective trials, we will follow patients who meet the designated trial criteria with respect to case history, from the moment of their enrollment in a clinic. We will track the patient’s progress and observe and review the protocols employed by the clinic to address the particular needs of the patient. Additionally, pathology slides and CT scans will be assembled to be studied by outside reviewers. As distinct from coming in after the fact, our team will be on site from the beginning of treatment throughout the course of the patient’s stay until the requisite charts and reports are ready for review by university affiliated conventional oncologists, pathologists, radiologists and statisticians. Currently, the foundation is working with the conventional oncology department at Columbia University at New York. Independent researchers help us to determine the validity of the protocols used and to rigorously test the effectiveness of the outcomes. The educational component of our foundation’s work is vital to our mission. We take the information gathered during our studies and actively publicize our findings in an effort to educate the medical community and the general public about effective new treatments, their costs and their availability. This information will first become available on our website and in print reports, free of charge, to anyone who requests a copy. We are additionally planning a national press campaign that will increase public awareness and will highlight treatment options for people with terminal diseases. An additional medium of our public education program is a film project being undertaken by Paraview, Inc., New York. Paraview, in conjunction with the NFAM, is filming “Successful Cancer Treatments from Europe,” a documentary for PBS. The film highlights the treatments identified by our foundation that are available in Europe but not available in the United States. We believe that our advocacy of complementary, integrative and alternative medicine will enable people to think both more holistically about their health and to seek out more effective and innovative treatments, especially when conventional physicians no longer give them hope to live. Currently, we are the only organization in the United States doing this type of work in investigation and validation of these new medicines. It is crucial that our work continue.